A deal between Google and NASA is to be investigated by US Senator Charles Grassley over ‘benefits’ the search giant’s have enjoyed following its use of NASA’s Moffett Federal Airfield in California to store and operate its fleet of Google aircrafts. How did NASA arrive at the lease amount of $3.7 million per year? Does that represent a fair market rate for the lease? Which individuals at NASA and Google negotiated the lease amount? As of the date of this letter, how many aircraft owned or operated by Google are present at Moffett Airfield? Provide detailed descriptions of all aircraft. Please describe the agreements by which Google obtains fuel for its aircraft at Moffett Airfield and provide fueling records for each aircraft over the past five years. Google co-founders Larry Page and Sergei Brin, and chairman Eric Schmidt have reportedly lent their full support to the restoration of Hanger One, perhaps the airfield’s most iconic hangar, in return for a long term lease that would store the leaders’ eight private jets. Page, Brin and Schmidt are said to have provided $32 million to restore the structure. Eric beneficially owns 100% of one aircraft and 33% of another aircraft, both of which are used by Eric and our other executive officers from time to time for business trips. The reimbursement rate for use of these aircraft is $7,500 per hour. The board of directors approved this hourly reimbursement rate based upon a competitive analysis of comparable chartered aircraft and which our board of directors determined was at or below market rates for the charter of similar aircraft. 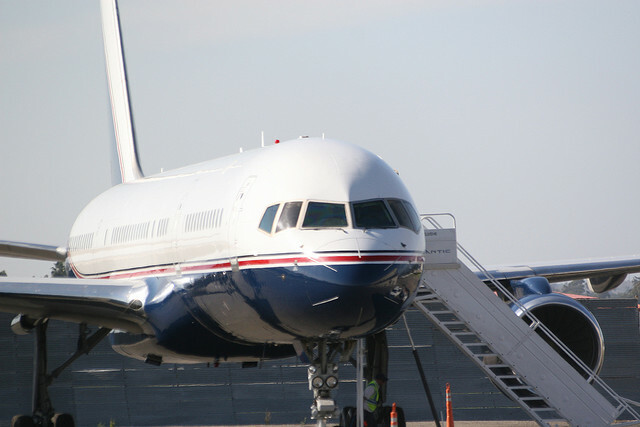 In 2011, we used these aircraft for business-related travel services for certain of our executive officers, including Eric, and we reimbursed Eric approximately $380,000. Due to the fact that the $7,500 hourly costs paid for the use of these aircraft is less than the actual operational costs incurred by Eric as owner of these aircraft, Eric does not profit from the use of these aircraft and therefore does not have a monetary interest in these transactions. The report doesn’t state its agreement with NASA, which is probably why Senator Grassley and US watchdogs are pursuing answers over reports of government assistance.